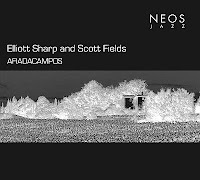 According to Scott Fields' website, this recording with Elliot Sharp, Afiadacampos, came out in 2010, which on the cusp of 2012, makes me a little more than fashionably late. Apologies for my tardiness, however, I am pleased to report the music has not aged a bit. I think the first thing that stuck out to me on this recording is just how nicely recorded the steel string acoustic guitars sound. Since they are rather indistinguishable sonically, the separation is done via left and right channel making this a nice album to listen to via the headphones. The sound swirls and coalesces in time and space, sometimes disorientingly, sometime soothingly. Typically a guitar duo, which is a favorite configuration of mine, relies on a division between melodic, rhythmic and harmonic functions, in varying combinations. Here, the duties seem split melodic/melodic, harmonic/texture, texture/melodic, basically everything but what you may expect. The songs are reactions and cerebral conversations between the guitarists. Just to take one song at random, say, 'I Love Not Green Eggs' apart, one would hear every aforementioned interaction, with sharp melodic cluster bouncing off string scrapes and defiant low register plucks. Almost classical passages sit atop randomness. This is the un-formula of each improvisation. If there is a complaint to lodge, it would be that about half-way through the recording that the improvizations begin to blend into each other. However, just in time, the tracks 'Delta Delta' and 'Sun Figtree' negates that criticism as vigorous rhythms and knotty textures are effectively deployed. 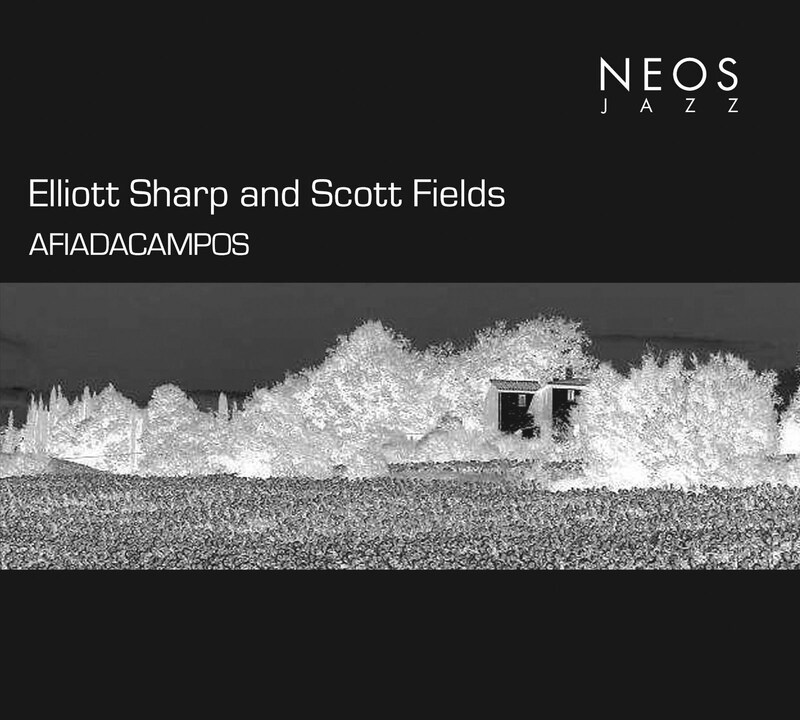 It all works to create a rather interesting and provocative set of acoustic explorations. This is something I'd recommend to listeners who are adventurous,thirsty for something different, and appreciate the many sounds of the steel string acoustic guitar.